Tender, puffy, and fudgy with perfectly crisp edges — this cookie tastes as good as Toll House but is more reliable. It may seem strange that I’ve been blogging for eight years but have never shared a single plain chocolate chip cookie recipe with you. The truth is that I’ve been baking chocolate chip cookies since the fifth grade, and have yet to come across a recipe that’s markedly better than the back-of-the-bag Nestlé Toll House version that everyone knows and loves. It’s not for lack of trying — I’ve rested the dough overnight to develop flavor, browned the butter, experimented with different varieties of flour, and so on. But to me, the difference in taste never justifies the extra time or effort. That said, the Toll House recipe isn’t perfect (sorry Toll House!). If you follow the recipe as is, the cookies often come out disappointingly flat. Over the years, I’ve tweaked the recipe to make it more reliable and just a little bit tastier. I use less sugar, more flour, two types of high-quality chocolate instead of ordinary chocolate chips, and I always chill the dough before baking. The result is a chocolate chunk cookie that’s tender, puffy, and fudgy with perfectly crisp edges. To begin, combine the butter and both sugars in the bowl of an electric mixer. Beat until light, fluffy, and cafe au lait-colored. Scrape down the sides and bottom of the bowl as necessary. Add the vanilla and eggs and beat for 2 minutes more. Scrape down the bowl. Add the salt and baking soda and beat briefly until evenly combined. Add the flour and both chocolates. Mix on low speed until the flour is completely blended and the chocolate is evenly distributed throughout the dough. Bake for 11-13 minutes, until golden around the edges but still soft and pale in the center. Let cool for a few minutes on the baking sheet, then transfer to a wire rack to cool completely. Enjoy! For more classic cookie recipes, check out my Oatmeal Brown Sugar Cookies with Raisins & Pecans and my Crave-Worthy Sugar Cookies. In the bowl of an electric mixer, beat the butter and both sugars for 3 minutes, or until light, fluffy, and cafe au lait-colored (use high speed on a hand mixer and medium speed on a stand mixer). Scrape down the sides and bottom of the bowl as necessary. Add the vanilla and eggs and beat for 2 minutes more. Scrape down the bowl. Add the salt and baking soda and beat briefly until evenly combined. Add the flour and both chocolates, and mix on low speed until the flour is completely blended and the chocolate is evenly distributed throughout the dough. Preheat the oven to 350°F and set a rack in the middle position. Line a 13 x 18-inch baking sheet with parchment paper. Drop the dough in firmly packed 1.5-tablespoon balls onto the prepared baking sheet, spacing them about 2 inches apart. (I use a #40/1.5-T cookie scoop with a wire trigger.) Bake for 11 to 13 minutes, until golden around the edges but still soft and pale in the center. Let cool for a few minutes on the baking sheet, then transfer to a wire rack to cool completely. Repeat with remaining cookie dough. The cookies can be stored in an airtight container at room temperature for up to 3 days. Note: Some readers have had issues with the cookies being flat. This can happen as a result of using a "softer" flour. I highly recommend King Arthur All Purpose Flour for this recipe -- it's high in protein and gluten, and helps cookies hold their shape. Note: If time allows, let the dough rest in the fridge overnight - the flavor improves. If you're impatient to even wait a few hours for the dough to firm up in the fridge, you can form the dough into balls on the baking sheet and chill in the fridge until firm, about 30 minutes. These cookies were delicious, garnering many compliments from a demanding crowd of in-laws. I used Ghriardelli chips instead of chunks, and they worked well. Be sure to bake on a light-colored cookie sheet. I just baked two of your Chocolate Chunk Cookies to see how they would turn out, before baking the entire recipe. The only change I had to make was replace the 2 ounces of Milk Chocolate baking bar with Milk Chocolate Chips. My cookies did rise, and taste delicious. This recipe is a keeper. Thanks Jenn for delicious recipes. For decades, I have been searching for the “perfect” chocolate chip cookie. The first time I made this recipe, I followed it as written. WOW !!!! They were amazing !!!! Nothing could make this cookie better. They are not too sweet and deliciously buttery. The cookies are thick without being cakey. Actually, for a thick cookie, they are remarkably crisp. The combination of milk and dark chocolate takes these cookies to another level and using chopped chocolate (not chips) is key. By chopping the chocolate, you get pieces of varying sizes. I found that it appeared as though I had layered the chocolate into the cookies. Since that first attempt, I have made these cookies many times. I finally found the perfect chocolate chip cookie. Thanks. I followed this recipe to a T, using King Arthur all-purpose flour and weighing it to make sure it was exact. I refrigerated the dough for over 4 hours and it was very stiff to scoop. The cookies spread even more than a tollhouse cookie would have. I thought maybe I scooped them too big so I decided to make sure I was doing about 1.5 TBSP – and then weighed each ball of dough so they were exactly that size, and THEN refrigerated them in ball form right until baking. Still they are spreading all over the pan. This is my first disappointing turnout from the blog and I hope you can figure out what needs to be adjusted so that we can have them turn out looking like yours! Hi Adrianne, sorry to hear you had a problem with these! It Sounds like you covered all the bases and were very careful with your measuring, etc. When you scooped the dough into balls, did you make them pretty dense? I have found that that helps with achieving the puffiness you’re looking for. Hi Helen, Sorry you’re having trouble getting these to rise. I think I’d start with an additional 3 tablespoons of flour. Also, be sure you’re really packing the scoops; it makes a difference in how they rise. Easy, fool proof, so good and fluffy. Exactly what I was looking for! THANK YOU! 1) For the puffy, could it be my baking soda? It’s not expired but probably has been open for about a year. 2) I wanted to add some nuts. Would walnuts or pecans work? Should I roast them ahead of time (I have raw) before adding to the dough? And how much do you think would work, approximately a cup? Hi Cherry, I almost forgot to answer your question about the nuts! Either walnuts or pecans would work – really depends on your preference. No need to toast them first, but it will add a nice flavor if you do. And I’d suggest about 1/2 cup. I used King Arthur flour and unfortunately it did not save the cookies from being very flat. The taste was fine. I think next time I might freeze individual dough balls and then bake straight from the freezer. Jenn, do you think that would help? Hi Olga, I do think that would help. You might also try adding another few tablespoons of flour. And definitely use a cookie scoop to really pack the dough into balls — it makes a difference. Just made this and they rose beautifully, I even mixed them by hand! I used Cadbury milk chocolate bars chopped up and they were delicious! Thanks for the rocking recipe! Hi Jen! !Your site is my favorite!! Between your book and your site I’ve made at least 40 recipes, all of which have been excellent except this one did not come out quite right. I used the King Arthur’s flour and I refrigerated the dough for a day. The cookies seemed to melt on the pan into a puffy, cake like cookie. Any idea why? Was I supposed to bring dough to room temp before baking? Hi Denise, Sorry you had trouble with these! The dough should definitely be cold so the cookies hold their shape in the oven. I’m wondering if they were a bit undercooked? Or were you hoping for a flatter, crispier cookie? Can you send me a photo ([email protected])? Tasty alternative to regular chocolate chip cookies! We love them! My overly particular family agrees these are, by far, the best chocolate chunk cookies! This is the only recipe I am allowed to use. So glad you like the recipes, Melvina! The cookies will keep nicely if stored in an airtight container at room temperature for up to 3 days. If that’s too short of a window for you, you may want to consider one of these: Any of the biscotti recipes, Toffee Almond Sandies, or Scottish Shortbread. Hope that helps! How many cookies does this make? I didn’t see it anywhere, which may be due to just going unnoticed. Hi Neeley, It will make about 3 dozen cookies. Hope you enjoy! Hi Dot, it’s fine to use the semi-sweet chocolate with no adjustments to the recipe. Hope your granddaughter enjoys! These cookies are the perfect size and consistency! My family loves them, and your comments about the brand of flour – so helpful. My grocery store was out of King Arthur flour so I used Pillsbury unbleached. Sometimes I’ll buy the store brand and my cookies are inconsistent; sticking with what works from now on! LOVE this recipe! The first time I made them I refrigerated the cookies for an hour. Last night I made them again but forgot to and the cookies still came out perfectly delicious! Hi Jen! Is itbpossible to use coco sugar and muscuvado sugar instead of the granulated & brown? These cookies look absolutely delicious, but I don’t have access to brown sugar in my country. Is there any way I can make them with white sugar only? Hi Ella, I suspect it should work, but the texture of the cookies will probably be a bit different with just white sugar. I’d love to hear how they turn out if you try them! Ella – do you have access to molasses? You can make your own by adding 1tbsp/1 cup of white sugar. Hey if you dont have brown sugar then you can make your own by mixing white sugar with some molasses just add a little at a time the more you add the darker it will get I hope this might help you. These really are the best chocolate chunk cookies ever! I’m making my second batch right now to give as a gift to a friend. I add a little bit more vanilla only because I love vanilla. Hi J, While 2 hours should be sufficient, I think you could try chilling them for a bit longer (or overnight). And, you could experiment by adding a little more flour to part of the batch to see if that makes a difference in the baked cookies. Hope that helps! Love this recipe especially for my B & B. I have ready made cookie dough in the freezer for my sweet treats I put out nightly. Since I do a different baked good each night, this is a life saver to be ready made. I used cheap Safeway brand flour with no issues. Possibly some of the reviewers didn’t let the dough firm up enough. Wow! Sweet treats nightly, what a great Host! Where is your B & B located? These are the best chocolate chip/chunk cookies I’ve ever made – by far. Crisp and chewy, even after a few days. I made the first batch three nights ago after chilling the dough only an hour or so, and those were great. I ate the last one today and it was still crisp and chewy. The second batch is in the oven now, straight from the refrigerator, and with about 5 minutes to go, they look fantastic. Thanks for a winner! I wouldn’t let the cookie dough come to room temperature; if you do, the cookies will be flat when you bake them. If you’d like, you can scoop the dough before putting it into the fridge. I thought I had a REALLY GOOD chocolate chip recipe until I tried this one! Oh my goodness! It is my new FAVE. I don’t think it is possible to have a better one!! 🙂 !! 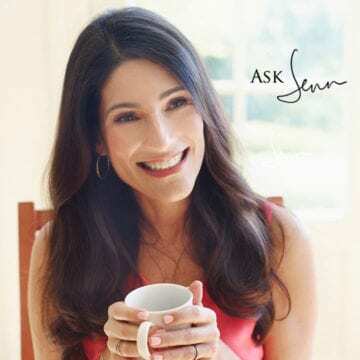 Hi Jenn, I found out I used the wrong measuring cup and only added half the amount of the flour. Can I let the dough come to room temperature (I chilled it overnight) and add the other half of the flour and save the batch? This is my go to recipe for chocolate chip cookies… my families favorite! This recipe makes perfect cookies every time I make them according to the recipe. Sometimes I substitute dark chocolate chips and it still tastes great. Made these cookies last weekend and they were great! Puffed up nicely and had great chocolate flavor. I followed the recipe and instructions exactly, and chilled for 8 hours. Will definitely make these again! I wanted to take a minute to thank you for your hard work! I have made several of your recipes including this one, and all of them have been yummy and very well liked by my family. I love to cook and bake, and I find your recipes to be easy to make and time consuming enough to produce great results. 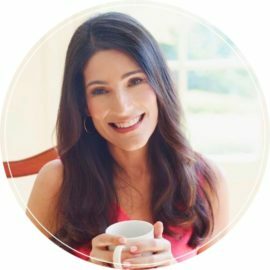 I think the balance you have between your training and being a busy mom resonate in your recipes and make them doable by any home cook. I’ve already preordered your cookbook, and I’m anxious to try out those recipes!! As for this recipe, I’ve made chocolate chip cookies for years, and I’ve always thought that the softness of the butter makes the difference between flat cookies and those that aren’t flat enough. The extra mixing and refrigeration of the dough keeps the texture more consistent and helps produce great results every time. Again, your trial and error has solved a problem for me! Again, thanks for your hard work and for inspiring me to try new recipes! These are really the best cookies I’ve made in ages. I love a chocolate chip cookie but over the past few years I’ve felt there has been something lacking in each recipe I use. So many end up hard and unappealing in the end. These, however, are tender, perfectly balanced and completely delicious! They also look beautiful once baked 🙂 I ended up decreasing the granulated sugar by a couple tablespoons and used only 54% callebaut chocolate chips and they came out so good. My work friends said I should open my own cafe and serve your baked goods 😉 Thank you Jenn!! I will always come back to this recipe from now on. I made these for the Super Bowl party I attended and they were a hit. Jen your recipes always come out great for me. I am anxiously awaiting the delivery of your new cookbook. I have it waiting to ship in my Amazon account. Happy New Year to You! Since the dough needs to be frozen before baking, do you think I could use browned butter in this recipe? I love the extra flavour it brings. Unfortunately not, Sheila. In order to brown the butter, you’d need to melt it, and melted butter won’t work for the creaming step necessary in the recipe. Sorry! HI Rosa, you could keep the dough in the fridge for about 5 days. You can also freeze the dough or the baked cookies. These cookies are terrific ! Even so, do you think if I reduced the sugar by half, would they keep their form when baking or would other ingredient adjustments need to be made? Hi Beth, glad you like the cookies! I think you could decrease the sugars by a few tablespoons, but wouldn’t suggest more than that as it could affect the texture of the cookies. No other modifications would be necessary. I love your recipes and use your site regularly. A quick question, can this cookie dough be frozen? Best chocolate “chip” cookies ever! One question: can these be made into bar cookies? If so, how do I adjust the recipe? Glad you like them, P. 🙂 For bar cookies, I recommend using this blondie recipe – and you can sub chocolate chunks for the chocolate chips, if you like. My grands loved the chunky chocolate chip cookies, they keep asking for more. enough flour. We shall see……. Hi Kimberly, Sorry to hear the cookies turned out flat. What I mean by spooning the flour into the measuring cup is that instead of digging the measuring cup into the flour to scoop it up (which can compact it), you should use a spoon to put it into the measuring cup and then use a straight edge (like a knife to level it off). But if you think you used too little flour, it does fit that the cookies came out flat. Hope you get better results next time! I finally found a. Chocolate chip recipe my teenage triple boys all love. I make this recipe once or twice a week and they continue to ask for them . Outstanding! Made these for a picky group and everyone LOVED them. Actual comments/why they liked them so much: Impressively Soft, Not Overly Sweet, Light and Airy yet still substantial; Great Flavor; So Fluffy! One person asked me how they get so light and fluffy. I really was not sure–was it the difference in adding a little extra flour and decreasing the sugar? Was it the chilling over night? Another Huge Hit, Jenn. Thank you for sharing such great tips and techniques!! Makes such a positive difference. On another note, I have tried many of your recipes and they are all amazing! This is my favourite recipe website! Bicarbonate of soda– hope you enjoy! I’m sorry to say that this recipe didn’t work for me. I followed the instructions exactly, but they turned out quite flat. The dough was left in the fridge overnight, my oven was at the precise temperature (oven thermometer) and though I don’t have access to King Arthur flour, the flour I did use has a comparable protein content. I am an experienced baker and I can’t figure out why I got this result. I have made many of your other recipes and they have always turned out perfectly (thank you!). I made them they are delicious but I left them in the cooling rack for about 6 hours. They got soft again. Did I leave it too long? Can I make ahead of time and keep it in the airtight container and serve them next day? Ruth, I don’t think letting them sit out for too long would’ve caused them to get too soft. Perhaps they were just a little under baked. The cookies can be stored in an airtight container at room temperature for up to 3 days. DELICIOUS! Didn’t have milk chocolate on hand, so my chip combo was bittersweet & semi-sweet. Almost addictive, and the finished product looked ROUNDED & GORGEOUS> Just served at party & literally not one left. Everyone loved them! Thanks very much for the tips! I made these cookies and although they tasted great, they were rather flat… As the reviews and your notes had warned. I live in India and we don’t get king Arthur products here. What do you suggest I use to give the cookies more height? Maybe adding ng some proportion of whole wheat flour might help? Hi Vanita, sorry to hear they were a bit flat. I don’t think it needs to be whole wheat, but you could add about 1/4 cup more flour to the batter to give the cookies a bit more volume. I’m making these right now and have to admit I was worried based on the reviews. These are the best, thickest, delicious cookies I have ever made! They came out beautifully. Keeping them cold is key. Used the flour I had on hand and I’m pretty sure it was Gold Medal or Pillsbury. They look like they are from a bakery! Best recipe ever. Thanks so much!! Made these yesterday. I fall into the category of never being able to make a chocolate chip[ cookie that gets puffy. I have tried butter, shortening, chilling, etc. These cookies tasted excellent. I used Giradelli bittersweet chips cut in half. The first batch were kind of flat but by the second batch as the oven was hotter they puffed up much better. Just because the oven reaches temperature it does not mean it will not get hotter. All the walls and bottom have to heat too. Best to reach temperature and allow another 15 minutes before baking. I made your steakhouse burgers for my family the other night and they were the best burgers we ever sunk our teeth into. They are definitely better than any steakhouse burger we’ve ever tasted! I had to cut the recipe since we only used 1 lb. of meat, so hopefully I split the ingredients correctly. The only thing I know, is that they tasted DIVINE! I can’t wait to make them again……simple and delicious! Also, I made your a Sour Cream Chocolate Chip Coffee Cake. Thee are no words to describe the taste, but “AWESOME!” Thank you so much for the great pictures also. I call myself a “gourmet cook” since I’ve been cooking since I’m twelve ( that makes it 42 years of cooking for me!). I learned from my Italian mom who cooked amazingly each and every night for all 8 of us. I must say, your recipes top some of hers (sorry mom). I will be trying them all, so keep them coming! Thanks again! These were pretty easy and turned out well. Mine were plenty thick and yummy! I have a convection oven and live at high altitude so cooked at a little lower temp a bit longer. Very pleased! I love just your recipes !!! My family will be visiting to celebrate my moms 90th bday and I want to bake up these cookies in small batches each evening. Do you think I make a large batch of dough and keep it in the fridge and just bake up small batches each evening over a weeks time? Unfortunately I also experienced the cookies baking flat. I followed the recipe as stated, making sure they were chilled so I’m not sure what’s happened. The flavour is great but they looked more like pancakes than cookies. I’ve never had problems with any of your recipes before, and I’ve made a LOT! Hi Nicole, So sorry your cookies came out flat! I’m scratching my head on this one…I’ve made these cookies so many times and they always come out puffy. Can I ask what brand of flour you use? I made these exactly as the recipe called for. They were delicious, but I also did not get the height I was expecting. When I went back and looked at the picture, perhaps it’s the angle of the photo that made me expect these cookies to be fatter. But they are definitely yummy! I’ve never refrigerated cookie dough before. Do I let it come to room temperature before cooking? Or scoop/measure it out while still cold and hard? Hi Sheri, Definitely cook the cookie dough cold – otherwise the cookies will be flat. Enjoy! Thanks – they came out delicious, but still decidedly flat. Though I had dough for one extra cookie and baked it on a silicone mat and it definitely had more height. Will use all silicone instead of parchment paper next time. Thanks again! Hello, I made these cookies and followed the recipe to the T; however, they turned out very cakey. Any suggestions? Hi Donna, When you say cakey, do you mean they were soft? I experienced the same problem. Cakey for me to mean extremely crumbly and soft. I added the bake time so that they wouldn’t fall apart but they were deliciois:-) Any ideas? Hi Sarah, I’m sorry you had a problem with the cookies being too crumbly and soft! Did you wait for them to fully cool/set before you ate them? Yes I did. Now the only thing is my husband still loves them so much! I will try the recipe out again and see. Its the first time I have used a stand mixer(always use hand): maybe I got something wrong: either way though: they are still a hit even as they crumble! I will definitely keep trying. Next time I’ll use a different All purpose flour brand and see. Thanks so much for your response Jenn!! These cookies were (as in they have all been eaten up) delicious! Due to my impatience the first batch was disappointingly flat; I didn’t refrigerate the dough. So I followed the directions and chilled the dough overnight in the fridge. It truly was the trick to getting the puffy cookies in the picture! My #40 scoop was broken, so I made them a bit smaller with my #20 scoop and baked a few minutes less. They proved to be just the right size cookie for us. Thanks for such a great recipe…especially enjoyed by my son and his friends! It is a keeper! Hi Jenn, thank you for all the wonderful recipes:) I plan to bake these cookies but was just wondering if I could replace the dark brown with granulated brown sugar? Would it affect the final result much? Hi Elisa, It should work but be sure to measure by weight, not volume. Please come back and lmk how they turn out! These cookies are amazing. Best I have ever made. Can I make these ahead and freeze them? Glad you liked them! Yes, they can be frozen. Tasty cookies, but I had mixed results and I’m not sure why. I used King Arthur flour, am pretty confident I used the correct ingredient amounts, and chilled the dough 24 hours. (I did substitute dark and semi-sweet chocolate chips.) I even put the dough back in the frig once the cookie sheets were filled. Anyway, some batches baked like yours and some were flatter. A mystery! But still tasting like good chocolate chip cookies. Hi Maret, Glad you enjoyed them! Sounds like either your oven temp was fluctuating or the batter was not mixed evenly. This is my go to chocolate chuck cookies. I like baking stuff like this so I can share it with my husband’s coworkers and my kiddos. It tastes amazing! I always make extra to freeze and pull them out when I need them, it stays fresh too. Love this recipe! My boys enjoy baking chocolate chip cookies and excited to share them with friends. Absolutely DELICIOUS! I’ve tried several of your cookie recipes and so far each and every one of them has been perfect. I usually plan a nice sit-down dinner for Mother’s Day and will be making a pretty cookie sampler with a variety of your cookie recipes for guests to take home. Thank you so much for such great recipes! So glad I found your blog. Made a batch of these cookies over the weekend for family. They came out beautifully, were simple to make and tasted delicious! Made these cookies last night. I loved the fact that you can make the dough one night , clean up and just cook them another time. These cookies were the best. Just the right amount of sweetness and loved the different flavors of chocolate. Before last night, I was a toll house chocolate chip baker. But, this is my new go to recipe. In fact, I doubled the recipe and froze half the dough for later. I baked these with my 8-year-old daughter this afternoon and they are so good! I might add a little more chocolate next time but other than that, perfect. Thank you!!! Finally, a chocolate chip cookie with the texture I have long been searching for. My kids have requested that I use semi-sweet chips the next time, but other than that tweak, this recipe is perfect. Mine flattened. They taste good but look like crepes. I followed the recipe to a ‘T’. Did anyone else experience this? What did I do wrong? Hi Jennifer, So sorry you had a problem with the cookies flattening — is there any chance you could’ve made a measuring mistake? They should definitely not flatten out like crepes. How long did you let the dough cool in the fridge? I don’t think I made any measuring mistakes. I am going to reattempt the recipe to be sure. I let the dough chill for 14 hours before baking. I have tried so many recipes and always end up with flat cookies! I don’t understand it. I use a lot of generic/store brand staples. Could that be the problem? You might also try investing in a digital kitchen scale – it’s the best way to get accurate measurements for baking. This is the one I have. Hmmm, that’s definitely long enough in the fridge! I’d be surprised if generic ingredients made that big of a difference but if you want to give it another try, I highly recommend King Arthur All Purpose Flour for baking. Some other thoughts: is it possible you used baking powder instead of baking soda? Are you using standard measuring cups? Could your oven temp be off? Love this recipe! These cookies are crispy on the edges and chewy in the center. One question, though: Why are my cookies not puffy? I love the way they turn out, but they do not stay puffy once I take them out of the oven to cool. Absolute perfection. This is how chocolate chip cookies should taste. This will be my go to recipe. Thank you!!! I made a second batch and added 1 tbls of bourbon…..only because my boyfriend asked me to. They were good too, but not as good as your original. Absolutely amazing! I sprinkled mine with Maldon salt before baking. I thought they would be too “adult” tasting for my kids but they gobbled them all up immediately. This recipe does NOT contribute to my weight loss! This definitely replaces the Nestle recipe. Thank you! Why don’t you have the print out of the recipe set up for a 3 by 5 or 4 by 6 card. It would be much easier to put in a recipe box. I’ll look into adding that feature, Jeanne. Thank you for the suggestion. Hi Maret, You can absolutely use chocolate chips here – the cookies will still be wonderful. I’d use about 1-1/2 cups. Another “Blue Ribbon Recipe” Jenn! These were delicious and easy! I love that you can keep the dough in the fridge for a while and make a dozen cookies fresh each day. Thank you for another great recipe!! Made these today and they are fantastic. Best chocolate chip I’ve made In a long time. Letting the dough rest in the fridge definitely made a difference. Love that you used both brown and granulated sugars!! The texture difference it made was huge!!! I also am a big fan of using a mix of chocolate in cookies. Some people in our house are milk choc fans and others aren’t. I like my cookies a bit “under baked” and gooey, so my baking time was more in the 9-10 min range, but so so good! !